This article is about the male voice type. For other uses, see Bass. "Basso" redirects here. For other uses, see Basso (surname). A bass ( /beɪs/ BAYSS) is a type of classical male singing voice and has the lowest vocal range of all voice types. According to The New Grove Dictionary of Opera , a bass is typically classified as having a vocal range extending from around the second E below middle C to the E above middle C (i.e., E2–E4). Its tessitura, or comfortable range, is normally defined by the outermost lines of the bass clef. Categories of bass voices vary according to national style and classification system. Italians favour subdividing basses into the basso cantante (singing bass), basso buffo ("funny" bass), or the dramatic basso profondo (low bass). The American system  identifies the bass-baritone, comic bass, lyric bass, and dramatic bass. The German fach system  offers further distinctions: Spielbass (Bassbuffo), Schwerer Spielbass (Schwerer Bassbuffo), Charakterbass (Bassbariton), and Seriöser Bass. These classification systems can overlap. Rare is the performer who embodies a single fach without also touching repertoire from another category. Singing is the act of producing musical sounds with the voice and augments regular speech by the use of sustained tonality, rhythm, and a variety of vocal techniques. A person who sings is called a singer or vocalist. 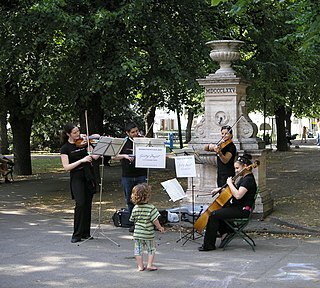 Singers perform music that can be sung with or without accompaniment by musical instruments. Singing is often done in an ensemble of musicians, such as a choir of singers or a band of instrumentalists. Singers may perform as soloists or accompanied by anything from a single instrument up to a symphony orchestra or big band. Different singing styles include art music such as opera and Chinese opera, Indian music and religious music styles such as gospel, traditional music styles, world music, jazz, blues, gazal and popular music styles such as pop, rock, electronic dance music and filmi. The human voice consists of sound made by a human being using the vocal tract, such as talking, singing, laughing, crying, screaming, etc. The human voice frequency is specifically a part of human sound production in which the vocal folds are the primary sound source. Cultural influence and individual variation create a wide variation in range and quality of bass singers. Parts for basses have included notes as low as the B-flat two octaves and a tone below middle C (B♭1), for example in Gustav Mahler's Symphony No. 2 and the Rachmaninov's All-Night Vigil, A below that in Frederik Magle's symphonic suite Cantabile, G below that (e.g. Measure 76 of Ne otverzhi mene by Pavel Chesnokov) or F below those in Kheruvimskaya pesn (Song of Cherubim) by Krzysztof Penderecki. Many basso profondos have trouble reaching those notes, and the use of them in works by Slavic composers has led to the colloquial term "Russian bass" for an exceptionally deep-ranged basso profondo who can easily sing these notes. Some traditional Russian religious music calls for A2 (110 Hz) drone singing, which is doubled by A1 (55 Hz) in the rare occasion that a choir includes exceptionally gifted singers who can produce this very low human voice pitch. B♭ is the eleventh step of the Western chromatic scale . It lies a diatonic semitone above A and a chromatic semitone below B, thus being enharmonic to A♯, even though in some musical tunings, B♭ will have a different sounding pitch than A♯. B-flat is also enharmonic to C.
Gustav Mahler was an Austro-Bohemian late-Romantic composer, and one of the leading conductors of his generation. As a composer he acted as a bridge between the 19th century Austro-German tradition and the modernism of the early 20th century. While in his lifetime his status as a conductor was established beyond question, his own music gained wide popularity only after periods of relative neglect which included a ban on its performance in much of Europe during the Nazi era. After 1945 his compositions were rediscovered by a new generation of listeners; Mahler then became one of the most frequently performed and recorded of all composers, a position he has sustained into the 21st century. In 2016, a BBC Music Magazine survey of 151 conductors ranked three of his symphonies in the top ten symphonies of all time. Symphony No. 2 by Gustav Mahler, known as the Resurrection Symphony, was written between 1888 and 1894, and first performed in 1895. This symphony was one of Mahler's most popular and successful works during his lifetime. It was his first major work that established his lifelong view of the beauty of afterlife and resurrection. In this large work, the composer further developed the creativity of "sound of the distance" and creating a "world of its own", aspects already seen in his First Symphony. The work has a duration of eighty to ninety minutes and is conventionally labelled as being in the key of C minor; the New Grove Dictionary of Music and Musicians labels the work's tonality as C minor–E♭ major. It was voted the fifth-greatest symphony of all time in a survey of conductors carried out by the BBC Music Magazine. 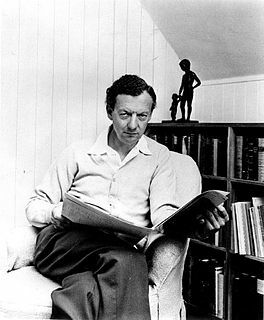 Edward Benjamin Britten, Baron Britten was an English composer, conductor and pianist. He was a central figure of 20th-century British classical music, with a range of works including opera, other vocal music, orchestral and chamber pieces. His best-known works include the opera Peter Grimes (1945), the War Requiem (1962) and the orchestral showpiece The Young Person's Guide to the Orchestra (1945). Rejoice in the Lamb is a cantata for four soloists, SATB choir, and organ composed by Benjamin Britten in 1943 and based on the poem Jubilate Agno by Christopher Smart (1722–1771). The poem, written while Smart was in an asylum depicts idiosyncratic praise and worship of God by all created beings and things, each in its own way. The cantata was commissioned by the Reverend Walter Hussey for the celebration of the fiftieth anniversary of the consecration of St Matthew's Church, Northampton. In music, tessitura is the most aesthetically acceptable and comfortable vocal range for a given singer or, less frequently, musical instrument; the range in which a given type of voice presents its best-sounding timbre. This broad definition is often interpreted to refer specifically to the pitch range that most frequently occurs within a given part of a musical piece. Hence, in musical notation, tessitura is the ambitus in which that particular vocal part lies—whether high or low, etc. Bass vocal range (E2–E4) notated on the bass staff (left) and on piano keyboard in green with dot marking middle C (C4). The bass has the lowest vocal range of all voice types, with the lowest tessitura. The low extreme for basses is generally C2 (two Cs below middle C). However, some extreme bass singers, referred to as basso profondos and oktavists, are able to reach much lower than this. Vocal range is the measure of the breadth of pitches that a human voice can phonate. Its most common application is within the context of singing, where it is used as a defining characteristic for classifying singing voices into groups known as voice types. It is also a topic of study within linguistics, phonetics, and speech and language pathology, particularly in relation to the study of tonal languages and certain types of vocal disorders, although it has little practical application in terms of speech. A voice type classifies a singing voice by vocal range, vocal weight, tessitura, vocal timbre, vocal transition points (passaggia) like breaks and lifts, and vocal register. Voice classification was developed for European classical music and seldom applies to other kinds of singing; voice classification is in the opera to pair roles with voices. Several different voice classification systems are available to identify voice types, including the German Fach system and the choral music system among many others; no system is universally applied or accepted. Basso profondo, sometimes basso profundo or contrabass, is the bass voice subtype with the lowest vocal range. In SATB four-part mixed chorus, the bass is the lowest vocal range, below the tenor, alto, and soprano. Voices are subdivided into first bass and second bass with no distinction being made between bass and baritone voices, in contrast to the three-fold (tenor–baritone–bass) categorization of solo voices. The exception is in arrangements for male choir (TTBB) and barbershop quartets (TLBB), which sometimes label the lowest two parts baritone and bass. In music, SATB is an initialism for soprano, alto, tenor, bass, defining the voice types required by a chorus or choir to perform a particular musical work. Pieces written for SATB can be sung by choruses of mixed genders, by choirs of men and boys, or by four soloists. Tenor is a male voice type in classical music whose vocal range lies between the countertenor and baritone. The tenor's vocal range extends up to C5. The low extreme for tenors is roughly A♭2 (two A♭s below middle C). At the highest extreme, some tenors can sing up to the second F above middle C (F5). The tenor voice type is generally divided into the leggero tenor, lyric tenor, spinto tenor, dramatic tenor, heldentenor, and tenor buffo or spieltenor. The musical term alto, meaning "high" in Italian, refers to the second highest part of a contrapuntal musical texture and is also applied to its associated vocal range, especially in choral music. It is also the root word of contralto, the lowest standard female voice type. When designating instruments, "alto" likewise can refer either to the corresponding vocal range or to musical role. The term "alto" is also used to designate a specific kind of musical clef; see alto clef. Within opera, the lowest note in the standard bass repertoire is D2, sung by the character Osmin in Mozart's Die Entführung aus dem Serail , but few roles fall below F2. Although Osmin's note is the lowest 'demanded' in the operatic repertoire, lower notes are heard, both written and unwritten: for example, it is traditional for basses to interpolate a low C in the duet "Ich gehe doch rathe ich dir" in the same opera; in Richard Strauss' Der Rosenkavalier , Baron Ochs has an optional C2 ("Mein lieber Hippolyte"). The high extreme: a few bass roles in the standard repertoire call for a high F♯, the one above middle C), but few roles go over F4. In the operatic bass repertoire, the highest notes are a G♯4 (The Barber in The Nose by Shostakovich) and, in the aria "Fra l'ombre e gl'orrori" in Handel's serenata Aci, Galatea e Polifemo , Polifemo reaches an A4. Opera is a form of theatre in which music has a leading role and the parts are taken by singers, but is distinct from musical theater. Such a "work" is typically a collaboration between a composer and a librettist and incorporates a number of the performing arts, such as acting, scenery, costume, and sometimes dance or ballet. The performance is typically given in an opera house, accompanied by an orchestra or smaller musical ensemble, which since the early 19th century has been led by a conductor. Die Entführung aus dem Serail is an opera Singspiel in three acts by Wolfgang Amadeus Mozart. The German libretto is by Gottlieb Stephanie, based on Christoph Friedrich Bretzner's Belmont und Constanze, oder Die Entführung aus dem Serail. The plot concerns the attempt of the hero Belmonte, assisted by his servant Pedrillo, to rescue his beloved Konstanze from the seraglio of Pasha Selim. The work premiered on 16 July 1782 at the Vienna Burgtheater, with the composer conducting. Der Rosenkavalier, Op. 59, is a comic opera in three acts by Richard Strauss to an original German libretto by Hugo von Hofmannsthal. It is loosely adapted from the novel Les amours du chevalier de Faublas by Louvet de Couvrai and Molière's comedy Monsieur de Pourceaugnac. It was first performed at the Königliches Opernhaus in Dresden on 26 January 1911 under the direction of Max Reinhardt, Ernst von Schuch conducting. Until the premiere the working title was Ochs auf Lerchenau. Basso cantante means "singing bass". Basso cantante is a higher, more lyrical voice. It is produced using a more Italianate vocal production, and possesses a faster vibrato, than its closest Germanic/Anglo-Saxon equivalent, the bass-baritone. Hoher Bass or "high bass" or often a dramatic bass-baritone. Jugendlicher Bass (juvenile bass) denotes the role of a young man sung by a bass, regardless of the age of the singer. Buffo, literally "funny", basses are lyrical roles that demand from their practitioners a solid coloratura technique, a capacity for patter singing and ripe tonal qualities if they are to be brought off to maximum effect. They are usually the blustering antagonist of the hero/heroine or the comic-relief fool in bel canto operas. Basso profondo (lyric low bass) is the lowest bass voice type. According to J. B. Steane in Voices, Singers & Critics, the basso profondo voice "derives from a method of tone-production that eliminates the more Italian quick vibrato. In its place is a kind of tonal solidity, a wall-like front, which may nevertheless prove susceptible to the other kind of vibrato, the slow beat or dreaded wobble." English equivalent: dramatic low bass. Dramatic basso profondo is a powerful basso profondo voice. A baritone is a type of classical male singing voice whose vocal range lies between the bass and the tenor voice types. Originally from the Greek βαρύτονος (barýtonos), meaning heavy sounding, music for this voice is typically written in the range from the second F below middle C to the F above middle C (i.e. F2–F4) in choral music, and from the second A below middle C to the A above middle C (A2 to A4) in operatic music, but can be extended at either end. The baritone voice type is generally divided into the baryton-Martin baritone (light baritone), lyric baritone, Kavalierbariton, Verdi baritone, dramatic baritone, baryton-noble baritone, and the bass-baritone. A contralto is a type of classical female singing voice whose vocal range is the lowest female voice type. A mezzo-soprano or mezzo (, ; Italian: [ˈmɛddzo soˈpraːno] meaning "half soprano") is a type of classical female singing voice whose vocal range lies between the soprano and the contralto voice types. The mezzo-soprano's vocal range usually extends from the A below middle C to the A two octaves above (i.e. A3–A5 in scientific pitch notation, where middle C = C4; 220–880 Hz). In the lower and upper extremes, some mezzo-sopranos may extend down to the F below middle C (F3, 175 Hz) and as high as "high C" (C6, 1047 Hz). The mezzo-soprano voice type is generally divided into the coloratura, lyric, and dramatic mezzo-soprano. A bass-baritone is a high-lying bass or low-lying "classical" baritone voice type which shares certain qualities with the true baritone voice. The term arose in the late 19th century to describe the particular type of voice required to sing three Wagnerian roles: the Dutchman in Der fliegende Holländer, Wotan/Der Wanderer in the Ring Cycle and Hans Sachs in Die Meistersinger von Nürnberg. Wagner labelled these roles as Hoher Bass —see fach for more details. The German Fachsystem is a method of classifying singers, primarily opera singers, according to the range, weight, and color of their voices. It is used worldwide, but primarily in Europe, especially in German-speaking countries and by repertory opera houses. The Canadian Opera Company (COC) is an opera company in Toronto, Ontario, Canada. It is the largest opera company in Canada and one of the largest producers of opera in North America. The COC performs in its own opera house, the Four Seasons Centre. For forty years until April 2006, the COC had performed at the O'Keefe Centre. Kurt Moll was a German operatic bass singer who enjoyed an international career and was widely recorded. Elisabeth Schilz Grümmer was a German soprano. She has been described as "a singer blessed with elegant musicality, warm-hearted sincerity, and a voice of exceptional beauty". A coloratura soprano is a type of operatic soprano voice that specializes in music that is distinguished by agile runs, leaps and trills. A mad scene is an enactment of insanity in an opera or play. It was a popular convention of Italian and French opera in the early decades of the nineteenth century. Arnold van Mill was a Dutch opera singer who specialised in bass. Rúni Brattaberg is a bass opera singer from the Faroe Islands, who works in operas around the world. He has been building his repertoire with Wagner and other leading bass roles such as Osmin/The Abduction from the Seraglio, Timur/Turandot, Sparafucile/Rigoletto, Sarastro/The Magic Flute, Kaspar/Der Freischütz, the Doctor/Wozzeck, Rocco/Fidelio, and Basilio/The Barber of Seville in the ensembles of the Mainz, Ulm, Detmold, Bern, and Mannheim opera companies. In January 2017 he received the Faroese Cultural Prize. Richard Van Allan CBE was a versatile British operatic bass singer who had a lengthy career. Marek Kalbus is a German opera and concert singer. He has the voice of a typical basso cantante and sings bass and bass-baritone roles. Mikhail Zlatopolsky was a Russian folk, and choir singer possessing an extremely rare low-ranging oktavist voice. Zlatopolsky was listed as the lowest bass in the world with a documented low note of E♭1. Erwin Schück, better known by his stage name Erwin Sembach, was an opera singer with the Vienna Volksoper during its earliest years of producing operas, immediately before and during World War I. His greatest roles there were Masetto in Mozart's Don Giovanni, Papageno in Mozart's The Magic Flute, and Krušina in Smetana's The Bartered Bride. Paul Bender was a German operatic bass. ↑ Boldrey, Richard (1994) Guide to Operatic Roles & Arias, Redmond: PST... Inc.
↑ "BBC Wales - Cardiff Singer of the World - Guides - Baritone and bass". BBC.